– SQLIer takes a vulnerable URL and attempts to determine all the necessary information to exploit the SQL Injection vulnerability by itself, requiring no user interaction at all. SQLbftools is a collection of tools to retrieve MySQL information available using a blind SQL Injection attack. SQLibf is a tool for automatizing the work of detecting and exploiting SQL Injection vulnerabilities. SQLibf can work in Visible and Blind SQL Injection. It works by doing simple logic SQL operations to determine the exposure level of the vulnerable application. SQLBrute is a tool for brute forcing data out of databases using blind SQL injection vulnerabilities. It supports time based and error based exploit types on Microsoft SQL Server, and error based exploit on Oracle. It is written in Python, uses multi-threading, and doesn’t require non-standard libraries. SQLMap is an automatic blind SQL injection tool, developed in python, capable to perform an active database management system fingerprint, enumerate entire remote databases and much more. The aim of SQLMap is to implement a fully functional database management system tool which takes advantages of web application programming security flaws which lead to SQL injection vulnerabilities. 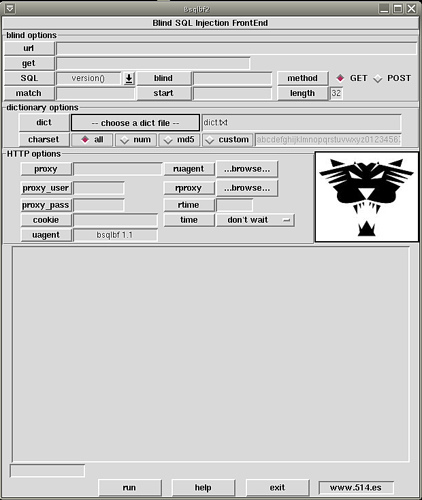 Absinthe is a GUI-based tool that automates the process of downloading the schema and contents of a database that is vulnerable to Blind SQL Injection. bsqlbf is a Perl script that lets auditors retrieve information from web sites that are vulnerable to SQL Injection. 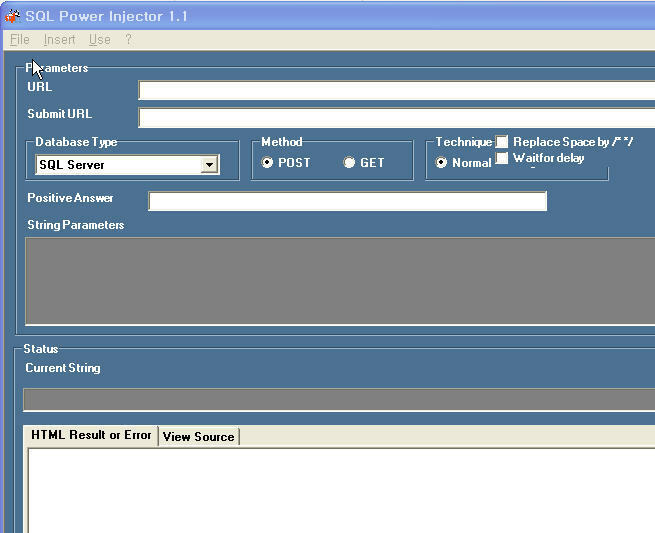 SQL Power Injection helps the penetration tester to inject SQL commands on a web page. It’s main strength is its capacity to automate tedious blind SQL injection with several threads. 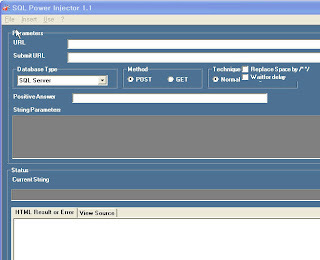 FG-Injector is a free open source framework designed to help find SQL injection vulnerabilities in web applications. It includes a proxy feature for intercepting and modifying HTTP requests, and an interface for automating SQL injection exploitation. 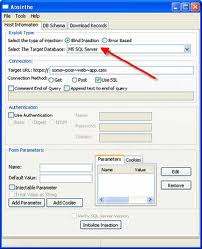 SQLNinja is a tool to exploit SQL Injection vulnerabilities on a web application that uses Microsoft SQL Server as its back-end database. The Automagic SQL Injector is an automated SQL injection tool designed to help save time on penetration testing. It is only designed to work with vanilla Microsoft SQL injection holes where errors are returned. NGSS SQL Injector exploit vulnerabilities in SQL injection on disparate database servers to gain access to stored data. It currently supports the following databases: Access, DB2, Informix, MSSQL, MySQL, Oracle, Sysbase. Get NGSS SQL Injector.